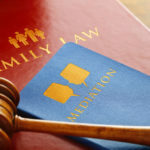 One helpful component of divorce or legal separation is the parenting plan you will lay out with your ex, that serves as a guide to how you will continue to parent your children in the wake of the divorce. A parenting plan is a document written by both you and your ex, that determines how you will divide regular time, holidays, vacation time, and major parenting decisions with your ex. It is a clear outline that will help you stay on the same page as your ex, thus reducing conflict for the future and making it possible for both of you to set realistic, agreed upon expectations of how things will go. family vacations, holidays, birthdays, etc. It is important that you enter the process for forging such a plan with a set of predetermined goals, and think through each goal beforehand, so that when it comes time to sit down and negotiate the terms you don’t end up leaving the table without securing what you want. You should take into consideration your child’s needs and balance them against your own. Very young children may struggle more with divorce. During the first three years of their life, a child is especially vulnerable; a study from Australia suggests that it is during these years that they form they ways in which they deal with stress and their emotions. It discourages dragging children back and forth for overnight stays between different homes at this time; this will more than likely undermine the stability the child feels. More important is developing a deep, nurturing relationship with both parents through plenty of time together. It also suggests parents develop consistent rules and expectations between the two parents during visits, so they don’t have to continually adapt and will feel the additional stability. Both parents should focus on providing active and engaged play time, and purposeful down time with just that parent. 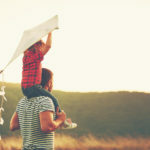 Keep in mind that it is typical for families to take 2 years to fully return to normal post-divorce–perhaps you need to draw up a parenting plan to reflect this tumultuous time, or a temporary parenting plan. Then, when they are older and less vulnerable, it may make sense to change the terms of the agreement. Either way, make the plan clear–this will reduce conflict, keep both parent’s emotions in check, and make it easier for your child to adapt. If you have difficulty agreeing on plans with your ex, consider a mediator, who will ensure the process remains even and productive.